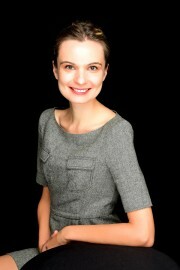 Dr. Valeriya Knight is highly educated with years of experience with children and adults alike. She provides quality skills in dentistry with a comforting touch that put even the most frightened patients at ease. Her expert touch, painless treatment, and speedy procedures will help anxious patient feel right at home. Dr. Knight is passionate about dentistry and holds quality of care at high standard. Dr. Knight received her PHD at the University of Oklahoma College of Dentistry and has participated in Oklahoma Mission of Mercy, providing free care for the community. In her free time Dr. Knight enjoys gardening, reading, knitting, medical science and history. Excellent visit. Was called in just after arrival. Dr. Knight did a great job. Thanks. Dr. Knight was awesome. Always have a great experience at this office.